A physical therapy assistant helps the physical therapist provide treatment to patients that will help the patient manage any physical limitations or disabilities. The physical therapy assistant will assist in patient mobility and reduction of pain as part of a care management plan. The physical therapist will assess the patient and develop a comprehensive treatment plan. The physical therapy assistant will then assist in implementing the treatment plan using therapeutic methods to ease the patient's disabling condition such as massage, electrical stimulation, balance training, gait adjustment, manipulation or traction. Along with providing patient care, the assistant will also update patient progress charts, transport patients, and ensure that all equipment and physical space is in good order. They may also be responsible for ensuring adequate supplies are available, completing insurance forms and scheduling and managing patient flow. Physical therapy assistants require licensing in most states. They work as a team with the physical therapist, but do not provide the same services as the physical therapist. The work is hands-on helping impaired patients gain mobility. The physical therapy assistant will work with people of all ages including disabled children and injured athletes implementing treatment plans. The work is very rewarding as they help patients change their ability to function in everyday tasks and get back to full mobility. The job is performed under the guidance and supervision of a physical therapist, but the physical therapy assistant does have a degree of autonomy when performing daily tasks. If a treatment plan is in place for the patient and the assistant know the treatment modality, the job is performed routinely. The physical therapy assistant works as part of a trusted team to provide the therapy for each individual patient. Chart information has to be completed, and there is constant communication between team members as they perform their assigned duties. The physical therapy assistant does not have a high degree of independent decision-making, but still has a degree of responsibility for implementing assigned levels of care. They also are an integral part of the therapy team, as the physical therapist would not be able to operate as efficiently without the assistant. The physical therapy assistant often is the person that keeps the office operating smoothly and effectively as they sometimes have office management duties. For the individual that likes to provide compassionate care to people, the job is rewarding and satisfying. The hours vary depending on where the physical therapy assistant is working. Their skills are required in hospital settings, rehabilitation centers, private medical care offices, nursing homes and other medical facilities. The hours for the job are generally not regular 9 to 5 hours, as therapy services often have to be provided evenings and week-ends to accommodate the patient's schedule. This is a job where at least 28 percent of the people performing the job work part-time, so schedules can be flexible. A physical therapy assistant should be in good physical condition as they may have to support or lift patients during treatments. Strength is often required to assist the patients with manipulative therapies. The assistant needs to be flexible, able to stand for extended time, able to kneel and bend down when providing therapeutic treatments and feel comfortable sitting on the floor. This is not a desk job or suitable for someone wanting a desk job. As important as the physical agility and strength of a physical therapy assistant, the person should also be extremely compassionate, an excellent communicator and have enhanced persuasive skills. There are critical interpersonal skills that must be applied to the job. Compassion — physical therapy assistants are often dealing with people who are upset and worried about their conditions. They deal with older adults who fear losing independence as well as young children who were born with physical limitations. Understand and empathizing with patients is a key component of the job. The assistant needs to have a true understanding of the fears and uncertainty of patients and always be calm and patient while performing their tasks. The job requires facing situations that are often sad and heartbreaking, but the assistant must be able to balance compassion with stark reality and perform the job as a professional, no matter how devastating the situation. They must also be able to compartmentalize their work and not take the situations too personally. Communication skills — most people do not understand or know the industry lingo of physical therapy. The assistant must be able to translate the technical or medical terminology into lay-person language. Clearly and consistently explaining what the patient has to do to perform the therapy is important, as well as communicating expectations and outcomes. Sometimes the physical therapy assistant may be communicating with patients that are resistant to the therapy. Persuasive skills — one of the biggest hurdles in performing the job is convincing the patient that they are responsible for a large part of how quickly and well they rehabilitate. Some patients will need convincing that even though the therapy may be painful it is in their best interest to complete the sessions as well as do the work required on their own. Patients may find many excuses why that cannot perform the therapy necessary so the physical therapy assistant must be able to cajole the person into working as hard as they can for optimal results. This can often take highly developed persuasive and communication skills, but the patient will thank the assistant in the end. People skills — the physical therapy assistant must like working with people of all types. The job is very hands-on and can be demanding physically and emotionally. Being able to build trust between the assistant and the patient is often critical to the patient making strides in their therapy. Organizational skills — in order to manage daily tasks the assistant should be very organized as well as detail-oriented. No task during the therapeutic sessions, no matter how small, can be overlooked for the patient to progress. The assistant should also be able to work with teams and receive and follow instructions quickly and efficiently. Assessment skills — the physical therapy assistant must be able to accurately assess a patient's progress, even if the progress comes in small, incremental steps. Determining if the modality of therapy is beneficial or if it should be changed or modified is an important aspect of the job. Patience — some patients will advance rapidly with therapy, while others may take much longer and the changes come slowly. The assistant must show patience with all patients and allow them to advance at their own rate. A competent physical therapy assistant has to be like any other medical care provider and know how to celebrate the small victories that patients experience, as well as not to let loss affect them too emotionally. There are rewards for performing the job with care and compassion. A physical therapy aid can work with a therapy team with a high school diploma. A physical therapy assistant must have an associate's degree in the field and receive a license to operate as a physical therapy assistant. Many physical therapy assistants receive on-the-job training after they graduate from an accredited program for physical therapy assistant training. The American Physical Therapy Associate's Commission on Accreditation in Physical Therapy Education oversees programs that provide training in the field of physical therapy assistant. This is usually a two-year post high school program that provides the student with an associate's degree in the field. The training includes both classroom work and a clinical internship. The classroom work consists of courses in English and algebra as well as courses in anatomy and physiology, biology and psychology. The clinical work is hands-on and the student must be certified in first aid, cardiopulmonary resuscitation (CPR) and other therapeutic treatment modalities. Other coursework includes introduction to physical therapy, human growth and development, human diseases, orthopedic conditions, orthopedic treatments, motor development, neuroscience, clinical kinesiology and therapeutic massage. The clinical work is performed in a licensed medical facility such as a hospital or rehabilitation center, and the student receives their training performing the tasks of the job while being supervised by a licensed physical therapist. This hands-on learning is critical to understanding the roles and responsibilities of a physical therapy assistant. The student will take many classes that are science-based, as well as some of the same coursework required by nursing students. It is not an easy course so the student must be dedicated and plan on spending time studying. The physical therapy assistant must become licensed and pass the National Physical Therapy exam in order to obtain employment. Some states may even have their own exam that they administer for physical therapy assistants. There are states that further require a certain number of hours of continuing education credits in order for the physical therapy assistant to keep their license current. People can find out what their states require from their state licensing board. Studying for the job is continuous as skills need to be kept up-to-date with advances in the industry. Many physical therapy assistants start working in the industry and then advance their skills and careers through continuing education. The progression is that the physical therapy aide advances to physical therapy assistants. Then the assistant can enhance their skills in specialty areas such as pediatrics, geriatrics, musculoskeletal or cardiopulmonary therapy. The skilled and knowledgeable physical therapy assistant can also pursue a career teaching in accredited therapy programs. They can even obtain the degree necessary to become a licensed physical therapist. The job of the physical therapy assistant is rewarding in itself. It is considered a professional career and one that is very much needed on a therapy team. Many assistants prefer to provide the hands-on care without having to worry about other administrative duties or having to develop treatment plans for patients. They also enjoy the flexible hours and the ability to work in a team environment where everyone pitches in to provide therapeutic care to patients. Physical therapists require a master's degree, and some physical therapy assistants do not aspire to that position. Many people remain in the field once they have their licenses as the work is very fulfilling. It is easier to enter this medical field than some other medical professions that require years of training and schooling. A person can complete their educational requirements in two years, obtain an associate's degree and already have work experience since clinical internships are a requirement of the job training. Students who exhibit outstanding performance in their clinical experience are often hired by the facility, or are given good references making the job search easier. It is not uncommon to see that the assistant and aide job titles are inter-mingled. However, there is a difference between the two jobs. The physical therapy aide assists patients move around the rehabilitation area but do not provide any therapeutic treatment. They are responsible for more clerical tasks and usually handle the more administrative duties of the office. They do not have the training or certification of the physical therapy assistant. The physical therapy assistant is trained to perform the requirements of the job. They often must obtain licensure and keep that license current through continuing education classes. The aide, assistant and therapist are all part of the team that provides manipulative and mobility care to patients. According to the United States Department of Labor, Bureau of Labor Statistics, the outlook for employment for physical therapy assistants will grow faster than average. In 2008 there were approximately 63,800 jobs for physical therapy assistants mostly working in physical therapy offices and hospitals. It is anticipated that the number of jobs will increase by 35 percent from the period through 2018. This is due to an increase in demand as well as by the technological advances in medicine that allow people to live longer, healthier lives. The aging population often requires physical therapy after a hospitalization in order to ensure mobility and balance. The elderly population may suffer conditions that require therapy including cardiac and other debilitating physical conditions. Children born with birth defects may require therapy, as researchers are gaining a better understanding on how conditions that were previously thought to be untreatable can now benefit from physical therapy. Low birth-rate babies are now surviving in greater numbers and require therapy, and trauma victims are kept alive due to advances in medicine. The need for physical therapy is increasing instead of declining. As medical providers and companies are looking for ways to decrease costs of healthcare they are depending on the services of physical therapy assistants more. They are less costly than physical therapists and are recognized as an important part of the therapy team. While the physical therapist focuses on developing the patient treatment plan, the physical therapy assistant is relied upon to provide the actual therapy under the supervision of the physical therapist. This streamlines operations into a more efficient delivery model of care. Insurance companies are also responsible for the increase in job growth. 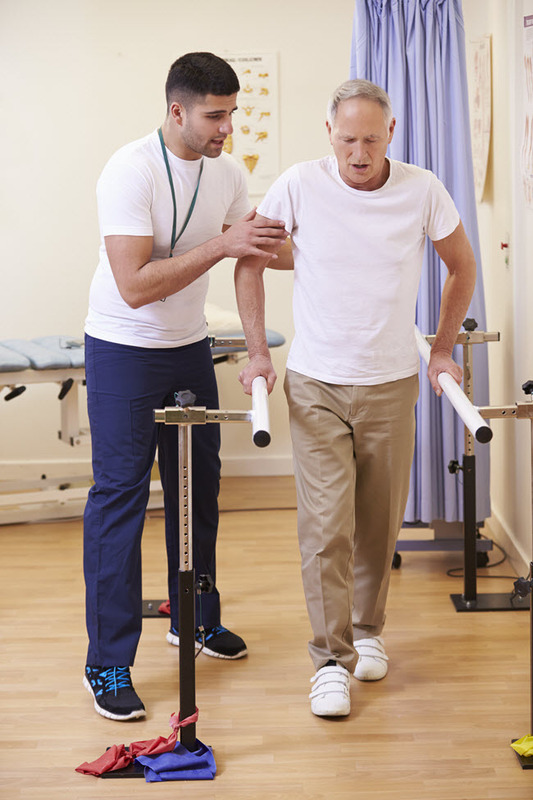 Reimbursement is provided for physical therapy assistants and this will increase the access and demand for services. The job openings for a physical therapy assistant are plentiful. The states that hire the most assistants are California, Pennsylvania, Florida, Texas and Ohio. If there are no positions offered in the towns were a person lives, they could relocate to where the jobs are available. Work is usually found in hospitals and physical therapy offices, but people are also employed in clinics, nursing homes, orthopedic offices and surgical offices. Some physical therapy assistants deliver services in people's homes, so for those who do not like the confines of an office a home-care team program would be satisfying. According to the Bureau of Labor Statistics, the average salary for a physical therapy assistant was $48,590 in 2009. The lowest salary was $28,580 and the highest was more than $63,000. Home health care services paid the highest salary followed by, in descending order, nursing care facilities, general and surgical hospitals, health practitioner offices and physician offices. The top paying states are New York, Massachusetts and California. New York average salaries were $113,000, Massachusetts pays $112,000 on average and California salaries average $104,000. These states may pay the highest salaries for a physical therapy assistant, but they are also states with very high costs of living so the salaries are in line with rents, property values and other living expenses. According to physicaltherapyassistantinfo.net the average hourly wage of $23.50 for a physical therapy assistant. Recent graduates can earn $40,000 if they attended a top-notch school that has an outstanding reputation. This is an excellent salary for an associate's degree program. While money does not take the place of job satisfaction, a physical therapy assistant is a popular degree because the person who wants to provide care to patients in a medical setting will find that the training and licensing result in salaries that reflect their important work. In 2009, according to the Physical Therapy Education Commission on Accreditation, there were 223 accredited programs for physical therapy assistant education. When considering training programs to obtain a certification as a physical therapy assistant there are several options. The first thing to always keep in mind, however, is that any training program should have a nationally recognized accreditation, preferably by the American Physical Therapy Associate's Commission on Accreditation in Physical Therapy Education. This assures the student that the program has met the highest standards of quality and education goals and outcomes. Many hiring organizations will want to see accreditation by a nationally recognized organization in order to ensure that the person they hire has the required training for the job. There are several ways to get an associate's degree in the field of a physical therapy assistant. There are many bricks-and-mortar schools that offer the physical therapy assistant degree. These can be post-secondary education facilities that offer medical-related degrees such as dental assistant degree, phlebotomy certificates, allied health or geriatric health. A student can also find local community colleges that offer the degree, as well as many colleges and universities. Students can attend the programs full-time or part-time. A full-time associate's degree in physical therapy assistant will take two years to complete. A person would attend the school for classes each day, and complete any laboratory assignments or special study assignments at the actual school they attend. Clinical internships would be completed at a medical facility location. The bricks and mortar schools have libraries, study facilities on-site, and the student feels a part of a larger body of students and faculty members that are there for support and interaction. Online programs are equally respected as a legitimate way to earn an associate's degree specializing in physical therapy assistant training. The online degree can also be completed full-time or part-time and the difference is that the student can study and take examinations on their own time. Students connect with professors and other students online, but they get to be a part of an often international group of people exchanging ideas and supporting each other. Many people prefer to be a part of a larger community of students so will choose a bricks and mortar school for training. Many highly recognized colleges and universities offer programs physical therapy assistant training. As an example, one large university in the mid-west has a program. The pre-requisites for students who want to submit an application to the university are a high school diploma, a proficiency in English and mathematics, completion of at least 20 hours as a volunteer or paid work with a physical therapist, a cumulative grade point average of at least 2.5 of high school and/or college work, and have earned at least a C or higher for any college-level work completed. Students of this university must submit scores from the SAT or ACT test. For the physical therapy assistant program entry requests for 2010 at this university numbered 130 applicants for the 27 available seats. Competition is keen for entry into qualified programs. Financial aid is available, and the full-time academic year tuition is $22,970 for the first and second semester. Part-time tuition is $735 per credit. The 2009 class graduated 96 percent of the students in this university program, and 100 percent of the students seeking employment found jobs. Of the students graduating this program, 95 percent passed the national licensing examination on the first try compared to an 84 percent national average for passing. The university has day and evening programs for students. First year students have the option of entering through an integrated program where students take regular college classes as well as their physical therapy classes. This allows them to feel the true college experience. This is a highly respected program, and the tuition reflects that recognition. The coursework is intense, and tuition at this college is approximately $174 per credit hour for in-state students. Most schools will include these courses in their programs, but some schools will offer different classes such as Ethical Issues in Physical Therapy, Clinical Neurology, Clinical Experience, Tests and Measurements, Human Organ Systems or Manual Therapy Techniques. Tuition for bricks and mortar schools will depend on the college or university status, local schools vs. schools that have national and international students, the faculty status and whether the student is a resident of the state or a non-resident. One small college costs an average of $105 per credit hour for in-state students and $275 for out-of-state students. Other schools total tuition including books and program fees average $36,000. The best thing for students who want to attend a college or university is to check their local institutions and find out total costs. Remember to factor in costs of program fees and books. Also check local community colleges and any post-secondary training schools. Before selecting a school to attend it is recommended that an interview and tour be scheduled. Prospective students should also not hesitate to ask for references from current students and recent graduates. The physical therapy assistant program can be expensive, so the prospective student should feel comfortable with the school they select. It would also be a good idea to sit in a class to determine how students and faculty are interacting and if the faculty seems to be supportive. Many students feel that the coursework for this degree is as hard as, or harder, than the coursework for many other majors. Because so many of the classes are science-based, students report that the work is very intensive and a lot of studying is required to remain current with classes. While students can work full-time and take part-time courses, they should plan on spending many late nights studying. However, students report having multiple job offers even before they graduate. Online education has come a long way in the past ten years. Online programs that are accredited have excellent reputations among hiring managers, and the quality of faculty they attract is equal to that of any community college of local post-secondary school. Many people prefer online education classes because it affords them the opportunity to work and take care of family responsibilities while still studying towards a degree. There are not a lot of online physical therapy assistant programs. When researching a reputable school it is best to go to sites that are not pushing any one program. These are mostly independent sites that provide information on the profession as well as on schools. Some schools may pay to advertise in side-boxes, but basically the sites provide good independent information. Online programs for physical therapy assistant programs will still take approximately two years to complete, but the cost savings can be significant for several reasons. Transportation fees — students can work from home computers or with their laptops at convenient locations. This eliminates transportation expenses of gas money or public transportation costs to get to and from a bricks and mortar location. All coursework is completed online. Time — most students have to manage their time and prioritize work, home and school life. The online student can read and study online during breaks and lunch times at work, and in the evenings after family time is completed. The cost savings of time may not equate to dollars, but it does allow the online student to meet family obligations. Textbooks — very often study materials are sent to the students by email or e-books. These are not as expensive as actual textbooks. Many bricks and mortar schools that offer physical therapy assistant programs do not also offer them online. This is because a clinical internship must be completed as an important part of the program. This is the reason why finding online programs may be difficult for this degree. One online physical therapy assistant program is associated with the regular college, but will allow students to take the coursework online. The college will arrange clinical internships, but students must complete the clinical requirements in person, which could interfere with working student's jobs. Students also have to be on campus one week for intensive lab work. Care should be taken when researching online physical therapy assistant programs. Several online schools may list the degree as being offered when they are really offering physical therapy aide programs or other medical assistant coursework. Basically, the online options are generally core coursework, but laboratories and clinical internships must be taken in person. On blog sites there are people seeking online physical therapy assistant programs, but are struggling to find true online programs. Physical therapist assistants work in environments where they often find themselves dealing with certain types of patients. They eventually become skilled in providing therapeutic counseling to treat specific illnesses. The physical therapy assistant helps stoke patients with balance so they can become mobile quickly. The new technology consists of pulleys that support the patient as they practice walking. This allows the therapy assistant help the patient to challenge themselves to a higher level. Electrical stimulation devices also help the stroke victim get up and walk sooner, resulting in faster recovery time. Physical therapy assistants who work with children will find that cerebral palsy patients dominate their practices. Each child will be affected differently by cerebral palsy, and the assistant will work with them individually using supportive devices that encourage movement. Children that have cerebral palsy find isolated movement difficult because their bodies do not respond to intention signals as intended. Therapy assistants help with balance improvement and spatial perceptions. The goal is for the child to gain maximum function and independence so they can function to the full level of their abilities. Assistants work on range of motion and often use a TheraSuit that will support the child through movement. The job of the physical therapy assistant is to use evidence-based therapeutic programs that increase range of motion and focused alignment for the child. Children with cerebral palsy will need therapy until their bodies are fully developed. It is estimated that 90 percent of all people will suffer from back pain at a point in their lives. When the pain is reoccurring or becomes severe, an individual should seek care from a physical therapist. The therapy team will evaluate the patient for the cause of pain, as it can be a result of injury or over-use. After the evaluation, the physical therapist will develop a treatment plan that the physical therapy assistant can implement. The assistant can use joint manipulation of soft tissue as a therapeutic tool. Depending on the type of injury, the assistant will also educate the patient on pain prevention and how to move the body to prevent further back injury. There are different exercises the physical therapy assistant will teach the patient so that he or she can take better care of their back. These manipulations might include deep back massages, which is why the physical therapy assistant has to develop strong arms and hands for effective manipulation. Physical therapy assistants will provide treatment for hand and wrist injuries. These are on the increase due to the number of people using computers all day long, as well as teens and young adults spending hours texting. The assistant will guide patients through heat and cold contrast baths as well as vascular exercises which exercise the blood vessels of the hands and wrists. Fist exercises put the hand in different positions to relieve stress and pain and wrist exercise positions engage ulna and radial deviations. Many people get confused when to use ice or heat packs, and physical therapy assistants educate patients on the difference. The physical therapy assistant could specialize in areas such as pregnancy. Very often pregnant women experience debilitating back pain during pregnancy and require physical therapy. The therapist would diagnose how the spine and pelvic area are adjusting to the pregnancy as well as the effects of pregnancy hormones. Very often the woman experiences an imbalance due to the lack of symmetry as the posture adjusts to the fetus and weight gain. After the position of the pelvic area is determined a therapeutic plan can begin to help ease the pressure and lower back pain the pregnant woman may be experiencing. These types of specialties increase the physical therapy assistant's salary as they become expert in one area. All of these examples highlight the actual job functions of a physical therapy assistant. He or she will be working with many different patients with different presenting problems. The day is rarely routine and the physical therapy assistant has to be up-to-date on all of the latest innovations in therapy in order to provide assistance to any patient that comes to the rehabilitation location. Detailed videos explaining these therapeutic treatment modalities can be viewed at www.physicaltherapyassistant-programs. It provides an overview of the type of work a physical therapy assistant might be doing on a daily basis, as well as examples of the assistant providing hands-on application of the therapies. There is quite a bit of physical work involved, getting down on the floor when working with children, and physically assisting patients that are working on mobility and standing therapies. When actual physical therapy assistant's are interviewed, they inform potential students that they must enjoy helping people as well as enjoy teaching since they will be teaching patients how to take care of themselves not only with therapy, but with lifestyle changes. A person that does not enjoy constant contact and interaction with people of all ages, sexes and conditions probably would not find satisfaction in the job of a physical therapy assistant. But for those who do enjoy participating in someone's healing process physically and emotionally the job provides a great deal of satisfaction. When considering a physical therapy assistant program, a potential student has to weigh all the costs and time they will need to expend to get a degree in the field. The course work can be demanding and will require hours of study. Even though some of the classroom work can be completed online, the potential student still has to take required laboratory courses which require a physical presence, and the clinical portion of the training must be completed in person. However, the rewards are great for a physical therapy assistant. The job market is expanding so employment should not be difficult for a good assistant. The salary matches that of a bachelor's degree or higher, and if the physical therapy assistant gains experience in a specialized field they can earn even higher salaries. Most importantly, physical therapists employed in the field rate their jobs with a high degree of satisfaction. The work may be physically demanding and require great communication skills, but the hours can be flexible. One physical therapy assistant who was interviewed said the job was like a puzzle. The patient has conditions that are broken apart, and the assistant helps put them back together again. He worked with people who had inner ear disturbances affecting balance, hip and knee injuries, Parkinson's disease, Alzheimer's and Lou Gehrig's disease. He liked helping people get back to their lives. While the physical therapy assistant that was interviewed said that at the moment he was doing a lot of paperwork, he also stated that he did not have to do it but he was helping out the physical therapist. That is a great example of team work and a person who is so satisfied with his job that he did what was needed for the team without complaint. It was also mentioned that often people confuse a physical therapy assistant with a massage therapist. But it the patient gets a massage from a physical therapy assistant it is going to be painful; they expect people to hate them.